Blac Chyna's oldest son King Cairo Stevenson turns six-years-old today and in light of the special day, Blac has shared an adorable collaged image on Instagram with a special caption to her firstborn. "Happy Birthday to my beloved son and the best big brother ever to your sister Dream," she wrote. "You are the most loving and by far the most intelligent and Minecraft expert ever!! Being your mom has been one of the greatest and proudest accomplishments of my life. Again Happy Birthday Kyng and know that I love you to the moon and back!!!" 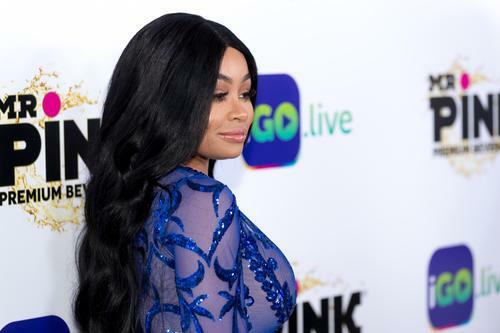 Blac had King with her ex Tyga and Dream with her ex Rob Kardashian who she previously talked about saying “maybe, but we’ll see,” to the idea of getting back together. “Before, it was all about me. I was kind of, like, really selfish. But now I have these two little ones, so I have to be more cautious, more aware and more attentive of these little people I created. It’s so different," she added about motherhood.